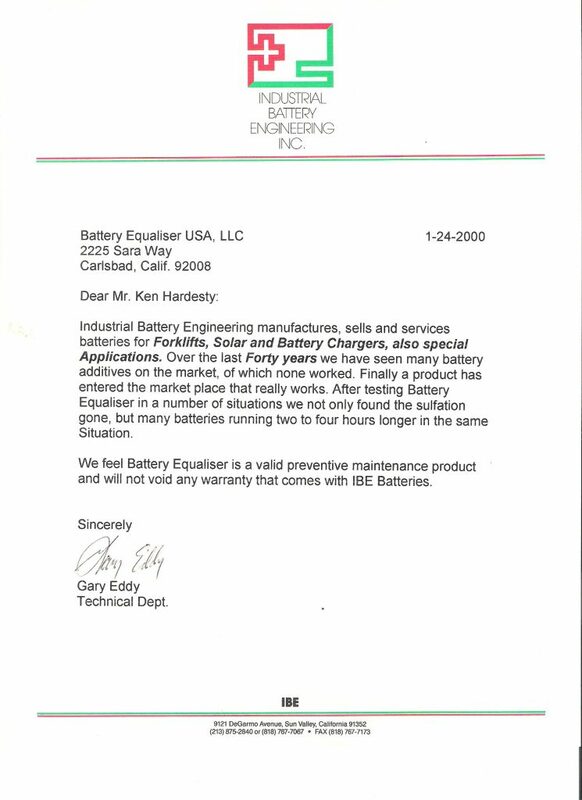 Industrial Battery Engineering Inc. gives it full support to Battery Equaliser! 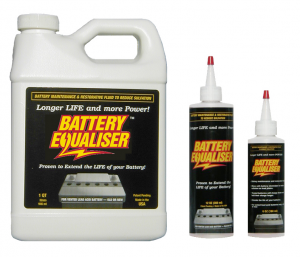 We are glad to have the full support of IBE after they have thoroughly tested and applied the Battery Equaliser product. 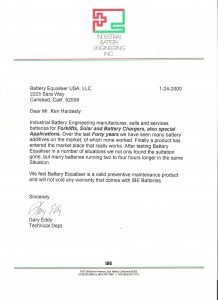 We encourage all of our customers to test their batteries in a scientific manner and come up with their own conclusions about the effectiveness of our products.